But first, the quick answer: 5th wheels are better suited to the BIG trailers of 28′ or more. Travel trailers have advantages that make it better suited for the trailers of 28′ or less. Why? Because 5th wheels tow better and have multiple levels and higher ceilings–all things that make it suited to a larger trailer. Travel trailers are far less expensive, have more storage, and allow for a much larger variety of towing vehicles. Obviously, the first consideration is if your towing vehicle is even compatible with a 5th wheel. Since we have three kids, using a truck isn’t a great option. It means all 5 seats in a truck would be taken up, and if we have another child, then we’d have to bring a car AND a truck/5th wheel in order to get to the camp site. Not a great option for us! The 5th wheel clearly wins this debate. The 5th wheel design puts more of the weight centered between the axles on the towing vehicle, and brings the center of mass forward on the towed vehicle. This makes towing a 5th wheel much more stable and secure. One drawback to a 5th wheel is that it uses up your entire truck bed. You might fit in a few little things, but you’re basically losing the truck storage. If you want to bring an ATV, bikes, or other items, you will have to find another option. We wanted our solution for an RV to be flexible to allow us to bring a canoe, or eventually an ATV or whatever hobbies we take up throughout the years, so a travel trailer was a better solution for us. 5th wheel trailers are PRICEY! Frankly, I’m not quite sure what justifies the large price increase of a 5th wheel over a travel trailer. It has a different connection and requires a little more engineering to get the raised piece above the truck bed, but I still don’t really understand why they cost so much more. 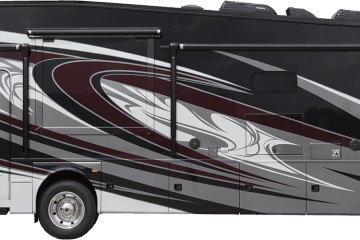 5th wheels always have some steps in the interior cabin–usually to get to the bathroom and the master bedroom. If you have a difficult time getting around, this is a consideration. However, the multiple levels in a 5th wheel can also be quite nice for blocking sound and making each room feel a bit more private. Since a 5th wheel has a large area that overhangs the truck bed, it extends far less behind the vehicle while giving far more living area. This makes it easy to get into smaller camping sites and maneuvering around town while still getting a huge living area. The exterior storage under the living area on a 5th wheel is often very larger. You’ll often find a huge open cavity for storing larger items under a 5th wheel. This is thanks to the multi-level design of a 5th wheel that opens space underneath. Not only are 5th wheel trailers often very heavy, they have a much higher profile. This usually reduces fuel efficiency of the towing vehicle by a bit. When you’re already getting poor gas mileage, that’s an important factor to consider. A 5th wheel almost always comes with significantly taller ceilings than a travel trailer. If you’re very tall or feel cramped in a travel trailer, a nice ceiling height could really help. However, remember that the ceiling height in a 5th wheel is higher in the living area, but LOWER in the bedroom. So there’s no clear winner here. Travel trailers eventually tap out on how much you can really fit in, because weight is always an issue. Some 5th wheels are MASSIVE and have an incredible number of features that rival any motorhome, so if you’re shopping on the very high end and basically want a luxury apartment attached to your truck, then the motorhome is for you. It’s gonna be tough to find a $150,000 or even $300,000 travel trailer, but they definitely exist in the 5th wheel arena. 5th wheel trailers are almost always significantly heaver than a comparable travel trailer. Be sure your tow vehicle can support the bed weight and also the two weight of a 5th wheel before you buy. An F-250 or a Ram 2500 often won’t be enough to handle a big 5th wheel. The travel trailer wins hands-down for boondocking and off-roading your way to a campsite. A 12,000 pound 5th wheel attached to your vehicle makes going down a decline on a dirt road or an icy road a serious concern. Also, 5th wheels are so tall that you’ll be ramming into tree branches on many boondocking camp sites. I made the mistake of driving my pontoon boat down the tree-lined street in my neighborhood and did significant damage to the boat when I parked alongside the curb and the boat hit a tree branch. Height is a serious concern when camping off the beaten path. Some people say that 5th wheels are easier to hook up than travel trailers. I think this is generally true, but personally I haven’t had much trouble hooking up my travel trailer. It’s really only a 2 minute operation now that I’ve practiced it. If you get a 5th wheel, you can’t bring along an ATV. With a travel trailer, you can fit in an ATV, bikes or dirt bikes in the truck bed. On a 5th wheel, the only way to do this is if you have a toy hauler 5th wheel. So if you think you’ll be buying or renting an ATV in the future, then a travel trailer is the clear winner. Some 5th wheels (but definitely not all) have generators built-in. That not only saves an additional purchase, but it’s more convenient and quiet. I’ve never seen a travel trailer with a built in generator. If you plan to bring a small trailer with an ATV or a boat behind your RV, then a 5th wheel is a much better choice for the super long tows. In fact, some states only allow you to tow something behind a trailer if your trailer is a 5th wheel. In several states, it is legal to ride inside a 5th wheel while it is being towed. It’s never legal to do so in a travel trailer. However, seriously, this is a dumb idea. Riding unrestrained in a towed vehicle is a recipe for disaster. Don’t do it! Many 5th wheel owners complain about uneven cooling in a 5th wheel compared to a travel trailer. Even if the length behind the tow vehicle is the same, the 5th wheel has extra space over the truck bed AND the ceilings are MUCH MUCH taller. Also, there are levels and stairs in 5th wheels. The larger space combined with a more segmented area equals major troubles with heating and cooling. This is not to say that every 5th wheel has the same problem. Some certainly don’t, but many many 5th wheel owners complain of an extremely hot bedroom area in the upper level. It’s tough to say whether backing up is easier on a 5th wheel or a travel trailer. They act differently and you’ll hear people say they like one or the other, but there is no clear winner. The difference is that a towed travel trailer tends to overreact to very minor movements in the steering wheel. So until you learn not to overcompensate, you can end up with some wild angles when backing up. The 5th wheel has the opposite problem. It requires larger wheel movements to turn, so it often pushes the truck end too far one way and throws off the angle. It’s common to find 5th wheels with 3, 4, or even 5 slide outs, which substantially improves the “roominess” of your rig. 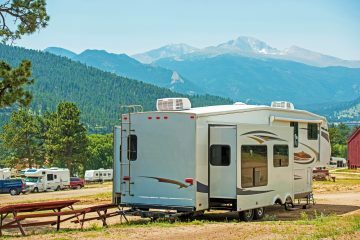 On travel trailers, only one or two are common. 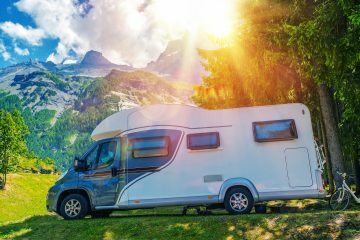 The reason that travel trailers don’t usually have more than one or two slide outs is that each slide out weighs about 800 pounds, so it increases the weight of the vehicle, and travel trailers are more difficult to tow–especially when they are heavy. Not only does a 5th wheel take up space in your truck bed when towing, it also takes up space when you’re not towing. The 5th wheel tow receiver is a HUGE and HEAVY chunk of steel. Either you have to go through a lot of work to remove it out of the truck bed after each trip, or you have to keep it in there and dedicate most of your truck bed to a tow hitch–always. By contrast, the hitch for a travel trailer takes up no space at all (obviously). If you purchase a covered storage unit to store your rig, you may find that your options are more expensive and limited since a 5th wheel is so much taller. A travel trailer will fit under just about any commercial storage unit. Many 5th wheels have two bathrooms or 1.5 bathrooms. If you have kids (especially girls….) then having two bathrooms is a really nice feature to have. I’m sure there are many travel trailers with two bathrooms, but I don’t think I can recall seeing any. If I were ever to live in my trailer, I’d buy a 5th wheel in a HEART BEAT but for me I think that would never happen. For me, flexibility was the most important option. We have a growing family of 3 kids and we need the seating of an SUV for towing, so it was a no brainer that a 5th wheel was out of the question. Towing for us hasn’t really been a problem since we bought a lightweight 25′ trailer. 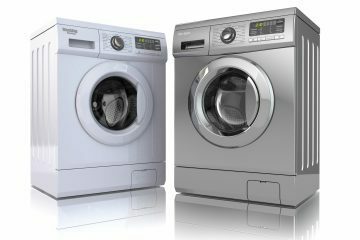 However, 5th wheels have some INCREDIBLE features and advantages that will appeal to many. When it comes right down to it, if you need better flexibility of your tow vehicle, want to save a bunch of money, and don’t plan on going more than 28′ then get a travel trailer. If you want your trailer to be a luxury apartment with lots of separation, you have a huge budget and the exact right truck for it, then a 5th wheel is a great choice. If you’re considering buying an RV or Camper, I strongly suggest you rent one first to make sure it’s one you’ll really love. 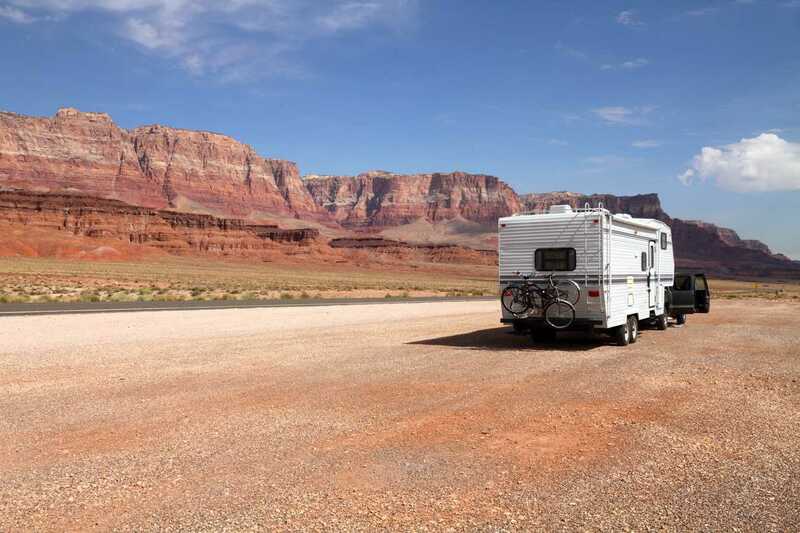 Campers can be very large investments, and buying the wrong one can be a costly mistake. 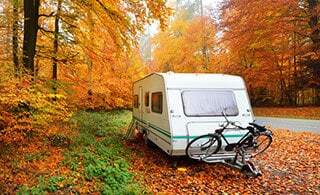 Outdoorsy is a great place for finding RVs and Campers to rent in your local area. We are considering a 5th wheel toyhauler. We have had several tow-behinds, and since we are nearing retirement, we thought the added room and features would be desirable. During our search we have learned that 5th wheels are prone to twisting the neck of the trailer after a while, especially if traveling over rough, twisty roads . We ride at some, so we travel in rough terrain. This info came from a mechanic (and he had several examples), but I have not been able to find any reports. Have you heard of this issue with 5th wheels. Regarding hitches – most current pickups can be ordered with a factory installed “puck” system for fifth wheel hitches. B&W, Reese, Curt and others also make aftermarket versions. The hitch is secured to the truck at four points with cam action pins that fit into recesses under the truck bed. The hitch usually separates into two manageable pieces for removal. I can remove the hitch from our truck in about 5 minutes with no damage to my late 60s back, leaving a flat bed with no obstructions. What would be a good brand and model for an aftermarket quick removable 5th wheel hitch? Check out the AlexanderHitch. I have never considered a 5th wheel because I don’t want that huge chunk of metal staying in my truck bed. The Alexander hitch is quite amazing and can be removed in just a few minutes. I researched this hitch and spoke to several owners…all say it is the best thing for 5th wheel towing. 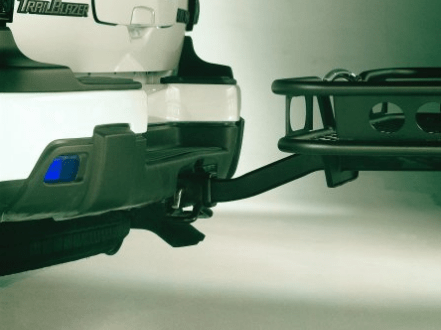 We are in the process of looking for a toyhauler and have only considered a bumper hitch…until now. Good luck. I have my 5th wheel hitch reversed. I only have a ball in my bed that slides down level with my bed when not in use. so I alway have use of my bed and no receiver to take apart or remove. RE: fuel economy. My experience has been the opposite of what you desribe. Same truck, and when we moved from our 27′ travel trailer to 29.5′ fifth wheel, our fuel economy actually stayed the same, if not actually improved because the “tow” is that much smoother and the truck is not “wrestling” with a wagging TT behind you. This is especially noticeable in windy driving conditions when our fuel economy with the TT went up considerably. Not so with our fifth wheel, even though it is longer and heavier! My husband and I are looking for a new trailer to take out on our adventures, and we are looking for advice on how to find the right one for us. I like how you pointed out that one thing we need to look at is what total length will work best for us. 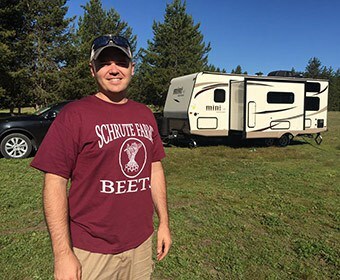 It will be nice to have something that is big enough to fit our family plus have room to do things, and be able to fit in the different size camping grounds out there. I feel like you’ve never heard of a toy hauler. I’m sure you’ve seen those fifth wheels (and less frequently motor homes and travel trailers) with a gate on the back? Yeah. That’s a ramp to the garage. Some of them even come with a fuel tank to gas up your toys so you’re not loading up with a ton of Jerry cans to fuel your vacation hijinks. For sway issues you purchase a sway bar. In addition most will come with a weight distribution so you may distribute weight accordingly between travel trailer and vehicle towing. It’s very scientific and keeps vehicle from saying down and bring it evenly back up. You will notice a significant difference in areas that have high winds. It’s like nothing is behind you. Look into this and you will be glad you did. Hope this helps. I would expect that to be as much a function of the hitch as the trailer. I’ve never owned a fifth wheel myself, but as a full-time TT resident, I drive by a lot of haul vehicles. Dome fifth wheel hitches I see appear totally rigid, while others are made to pivot side to side, allowing for variations in the pitch of the two vehicles. I’m towing a 38′ travel trailer that weighs 24,000 lbs. It has three 9K axles. It is 13′ 4″ high and 8′ 6″ wide and has 4 hydraulic slides, two air conditioners, and an 8K diesel generator with a 35 gallon fuel tank. I absolutely love it. It tows rock solid. TV is a Dodge 5500 198″wb with an 11′ Knapheide KUVCC utility body. I have all my work tools plus a fridge and freezer in the back along with a 4K inverter w/900AH Battery bank and 150 PSI air compressor. Using a Torklift 30K hitch with Everest WD 1000 hitch. Truck is the same level hooked or unhooked from TT, tongue wt. is 3,200#. Big heavy TT’s are the way to go. Much more use of your truck and tow as good and maneuver better in parking lots. Just make sure you have a big heavy duty truck to pull with. I like how you mention that we should look at the ease of towing when getting a trailer. I know for me having a trailer is kind of stressful so it’s important to me to have one that is easy to tow. In the future, if I ever get a trailer I’ll be sure to check how easy it is to tow. My daughter has a ram 1500. 5.2(? I know it?s a 6 cylinder). Bottom line would a goose neck or bumper pull be better for the truck? I know it?s not ideal, but she needs to haul 2 horses from time to time. I can?t afford another truck now, since I just had a total rebuild – motor and paint done, then she eloped. horses. I would check the max tounge weight and pulling weight for the truck. My friend borrowed my trailer to haul 1 horse a 900lb Arabian, my trailer was around 2500lbs . She said she had difficulty going up steep hill. So long story short there’s lots of factors to consider, but combine weight of horses and trailer together and make sure it’s less then the manufacturer recommendation. This has been so very interesting. I will soon be a dislocated, first time ,SENIOR, fill time RV enthusiast. I think I would like a fifth wheel. I think 30 foot is my max. However ever lot I shop gives me very different information. PLEASE ADVISE ME! I don’t know if one brand or manufacturer’s better pr more dependable!! Any suggestions will be gratefully received. Thanks I need help. This will be my last big financial decision!! Want a. 5th wheel because we are looking at traveling south and west during the winter months to escape the Georgia mountains. Have not seen a travel trailer that compares with a 5th wheel interior for a 4 or 5 month stay away from home. Only thing stopping or 5th wheel purchase is 3 Irish setters our fur kids. Does any one know of a travel trailer that would compare to 5th wheel living arrangements? I have a 24 foot TT and I am seriously considering a 5th wheel. The reason is you can gain about 8 foot of living space and have the same footprint ( TT plus Truck ). It also looks a lot easier to hook up a 5th wheel. I hate dealing with the weight distribution bars, anti-sway arm, chains, and brake lock. I currently load my motorcycle in the truck bed so I need to find a solution to bring that along if I go the 5th wheel route. Thanks for post, insightful. they now have 5th wheels from 27′ that can be pulled by a 1/2 ton truck( so says the advertisement) we are currently looking on moving up from a 22 ‘ Fleetwood TT to a 29 ft forest river or artic fox 5th wheel with the later being our #1 choice. . both we were told could be towed with our chevy silverado 3/4 ton. We became 1st RV owners after doing research for three years. My husband wanted a toyhauler and I didn?t want to give up any living space since we were going to be full time living. We once again visited our local RV show January 2017 and found our dream Fifth Wheel. It is a big one….42? with 5 slides but it has the bedroom in the back. The queen bed does sit somewhat high off the floor but…if you would go outside and around to the back of the RV you will see a large door that will come down like a ramp to the ground. Inside you see a huge storage unit which people could use for just for additional storage but for those motorcyclists, ATV enthusiasts, bicyclists, etc. just need to reach in an push the button and the ceiling raises (which is actually your queen bed instead the RV) and you have a garage!!! So my husband got his toy hauler for our 2 Harley?s and I got my living space! Neither of us had to compromise….lol. This fifth wheel is on the heavy side which we knew it would be as it?s just the two of us ( in our upper 50?s) so we purchased a new Ram 3500 Laramie Longhorn Crew Cab Long Bed Diesel Dually Truck. This truck pulls the RV like nothing is behind us. We had a generator installed plus a washer/dryer too. I just think the hardest part is purging your stuff from a 2,500 sq ft home and moving into 3? ?sq ft and learning how to tiny live. It?s worth it though as life is short and material things really don?t bring happiness. Life?s experiences do though along with meeting new people. I will be very interested knowing what kind of 5ht wheel you purchased? My wife and I are wanting to do the same thing and live on the road but need added space for motorcycle. In the article you wrote, “Travel trailers have advantages that make it better suited for the trailers of 28? or less.” Is that measured with the tongue? Yeah, but it’s really a rule of thumb. I’d use 28 feet of total length as a good cutoff though. Is there a rule of thumb for the size of vehicle to pull a trailer under 28 feet? I would most likely think we would be between 18 to 25. We have a 1998 Ford Explorer Eddie Bauer V8 with 200K and is showing her age a bit. Until we see if we are fit for this new adventure I would like to not have to purchase a new tow vehicle. Our Ford has a serious trailer hitch already as we purchased her used and she used to pull a big boat. I am assuming torque and horsepower are key. I’m about to publish a new post on how to tell how much your vehicle can tow. I think that will help answer your question. Please look carefully at tow capacity and remember fully loaded weight NOT on the lot weight. Not to insult but you DO NOT HAVE A VERY CAPABLE TOW VEHICLE. I would hate to see a tragedy happen due to over towing. For what it’s worth, my wife and I have had four travel trailers, three fifth wheels and one motorhome. They all have their purposeful niche. For us, we will never again have a travel trailer nor a motorhome! For us, the fifth wheels have the most advantages in our opinion. We typically travel 5 or 6 months of the year and we are always on the move, we don’t just stay put. Love traveling in our fantastic diesel pick up and then dropping our rig in our camp site and seeing the area around about a 200 mile radius., then moving on. I could go on and on about the negatives of trailers and MH’s but I will spare you. I hope you and your wife are enjoying your retirement. What you and your wife are doing is what me and my husband want to do in the near future when we retire. My husband wants a 5th wheel toy hauler for his “baby” (aka motorcycle) 🙂 We’ll find an RV camp somewhere and then take the motorcycle out and ride. And then when we get tired of that spot, we’ll pick up and go to another. Can you give me some advice about what brands of 5th wheel toy haulers are good, and, if you know, which to stay away from? And what type truck did you get to haul your 5th wheeler. We were thinking about buying used toy hauler and truck. Thank you. My question is about going on rough terrain – my mind says a TT has more flexibility with a hitch and would have more success in rough up & down terrain then a 5ver which seems rigid — also would like to keep the bed open and not waste that space but mostly the ability to travel hard unlevel paths…………….. Thanks for any advice you may have in advance! In reply to your post , You shouldn’t have any issues with your 08 Chevy being able to tow a 33 ft. trailer any where you want let alone a block . You have plenty of truck for the job good luck to you. This was a very informative article for a person like me trying to decide on a TT or 5th wheel for my wife & I who will be utilizing it 1 to 2 months a year. My question is when you are referring to a max length for a TT of 28′, is that the overall length including the hitch or just the trailer? Thanks in advance. The lightweight 5th wheel hitch is the Anderson Ultimate 5th wheel hitch. One of the other hitch manufacturers also has their copy of the Anderson. Can’t beat this for information. I was on the fence before reading this article, but not any longer. Thanks for the enlightening info. My wife and I are in the hunt for a new camper. One of my biggest debates was a fifth wheel or travel trailer. Having 6 kids makes it tough to find something suitable. After reading this I have definetly made up my mind. Travel trailer it will be! Thank you for the great and very informative article! Now, we just need to know which brands to stay away from. For years I used a Chevy Express 3500 and a 24′ travel traler for all my adventures. I MT Bike, Whitewater Kayak, and ride an XC off-raod motorcycle. Loaded tools and toys into van and pulled the light-weight basic living space along behind. Like others, I’m older and looking to do MORE now. A Sport UTV to bring the dog along… the wife wants an ATV…. and we want to be able to stay on the road much longer than a week. etc…. My research has led me to ATC brand Toy Haulers (http://aluminumtoyhauler.com/models.html). The very best thing about this site, whether or not you purchase a TT or 5th wheel from them, is that they give you a ton of information reguarding sizing and construction. (Example: a 28′ trailer is actually 33′ in total lenght) The #1 deciding factor for RV ownership is being honest about where you plan to go. First, you are subjecting your (vaction) home to an earth quake every time you move it. Next, trees provide shade but they also cause serious space issues (height and length). In my humble opinion, once you learn a small amount about RV construction and you are truelly honest about how mean you will be to your poor trailer, the choices of what you can own becomes simple and obvious. I have seen more of my friends hurt with tag trailers that I care to talk about and countless flipped. Pulling a tag trailer with even the largest SUV does not give you any meadure of safety…the wheelbase is much short to get out of a trailer sway emergency. Check out the chapparal xlight from forest river. Best of everything and super light. I love mine…. Check out the forest river chapparal xlight model. We tow with a ford f250. Its gorgeous and crazy light. 33.5 ft and approx 8,100lbs. outdoor kitchen….the works. Family of 5 and I wouldn’t of picked anything otherwise. The more I read and the more folks I TT, the more confused I become. My situation: Single grandma that wants to travel from FL to New England. Grandkids plus me will be 6. 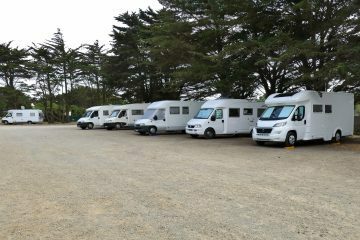 All over the place as far as Class A, Class C, TT or 5th wheel. Most economical would be pull TT or 5th wheel with quad truck since I have rental properties and could utilize the truck vs an A or C sitting unused most of the time. BUT 6 plus dogs in a quad truck is too cramped and grandkids would wine a lot. Really need some advise as to what choice to make. I know it will ultimately be my decision, but need help in deciding. cost will be a huge factor as well. We’ve had to pull 5th wheels out of crazy places with the tow vehicle attached. Its made for some interesting situations that we definitely learned from. I have a GMC Sierra 1500 STD box with the factory tow package. Rated to pull 11,700lbs, and cargo capacity of 1,855lbs. I’ve been going back and forth between 5th wheels and TT’s. While there are plenty of 5th wheel “Half Ton Towables” I’ve learened that this occurs under optimal conditions. The 5th wheel I’ve been looking at has a pin weight of 1,400lbs. That means it will depress 1,400lbs directly into my cargo capacity limit. Add a 200lb hitch, and there’s just enough room for me @250lbs to drive the truck alone. Any added passengers put me over my legal limit. Working backwards, if I want 800lbs of passengers + the hitch, my “Half Ton Towable” options are pretty much non-existent. This is something to consider. For TT’s, make sure you subtract ~20% of your towing capacity to reserve as a safety weight. As one posted mentioned above, just because you can tow it… doesn’t mean you can safely stop in an emergency. Leave that contingency!